The all Junior League service day at Ronald McDonald House was extremely popular in 2014, so I wasn’t surprised when they brought it back again this year. Volunteering at Ronald McDonald House has always been a part of the League’s legacy in Kansas City, and it’s something I definitely took note of after I met my husband. Kip’s brother was in the hospital and in a rehabilitation center in Kansas City for a couple years when Kip was a little boy. Their family stayed regularly at the RMH, and Kip can tell you about all the games they played while they were there. It truly becomes a home away from home for the families that need that space. 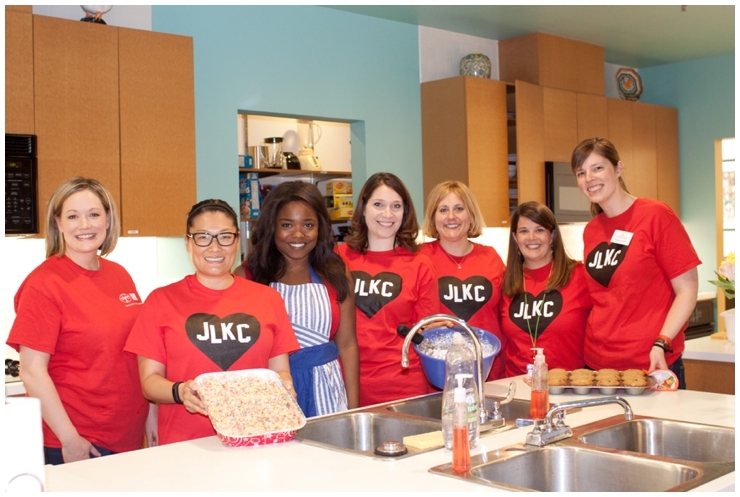 JLKCMO members this year got busy cleaning, organizing and cooking. 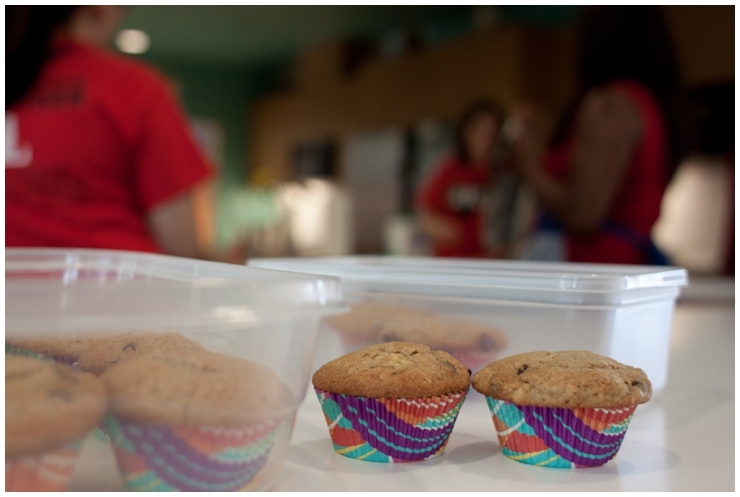 A group of Sustainers made a delicious brunch in the brand new Wylie House. I signed up to help make the afternoon snack. I’d never done this volunteering job before, and I would totally sign up again as it felt great to prepare something fresh for the families. Many of the women I cooked with in the afternoon were new to baking, so it was fun to share the kitchen and experience with them. Everything was delicious, and there was quite the spread by the time we were done. Not to mention the kitchen smelled delicious! 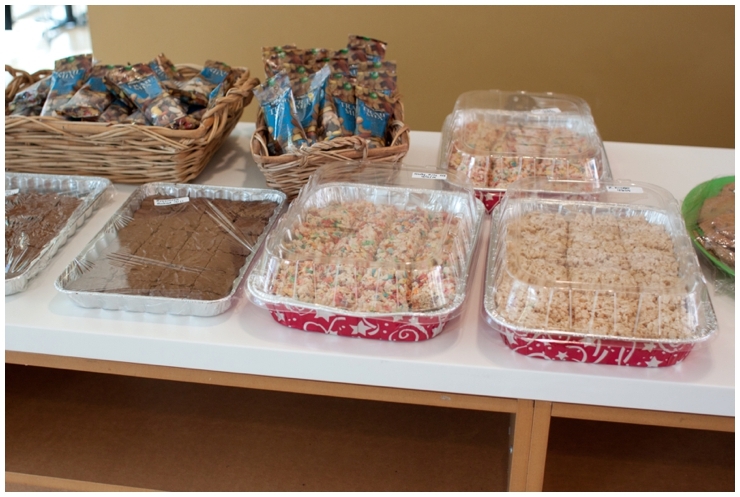 Rice Krispie treats made with Fruity Pebbles, puppy chow, and chocolate chip cookies were lined up ready for the families. I made my favorite chocolate chip banana muffins, complete with a little whole grain goodness. So thankful for a chance to serve in Kansas City with other JLKCMO women! 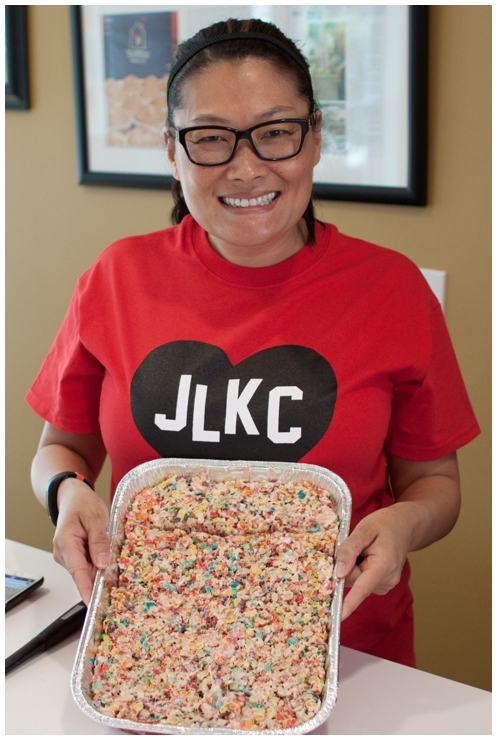 This entry was posted on May 26, 2015 by JLKCMO in Community Impact.